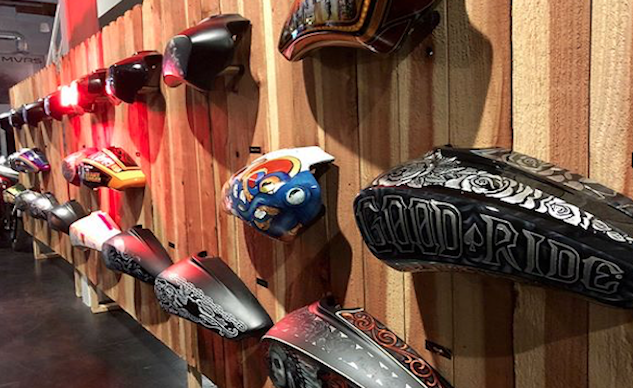 Carey Hart’s Good Ride Rally hosted a special event at Fox Racing Headquarters where both the motocross and V-Twin industries got together to raise money on the behalf of our troops, and we had the privilege to attend. The Good Ride Rally is a series of rides, parties and events where all charitable donations go directly to America’s veterans, service men and women who have laid their lives on the line to protect our great country and freedoms. The Good Ride created the “Tanks for Troops” event in which a variety of artists picked by Carey himself transformed gas tanks supplied by Indian Motorcycles into custom, one-off pieces of motorcycle art. The hand-painted tanks are currently being auctioned off with all proceeds benefiting the Infinite Hero Foundation, a 501(c)(3) non-profit organization that drives the innovation and accessibility of effective treatments for military heroes and their families dealing with service-related mental and physical injuries. Tank by Desert Storm Marine Corps veteran and motorcycle helmet painter, Chris Wood. There are 22 different tanks, all with their individual and unique flavor. Many of the artists include Hart’s favorite painters, tattoo artists and even his six-year-old daughter, Willow. So far, the bids on most of the tanks are more than $1000. Two select tanks, one by Desert Storm Marine Corps veteran and motorcycle helmet painter Chris Wood currently has a bid of $3,700, and another by Carey and Pink Hart’s daughter Willow, is expected to raise over $7,600 – and counting… From baggers to choppers to flat-trackers, among the tanks was also a showcase of Carey’s custom Indian bikes. 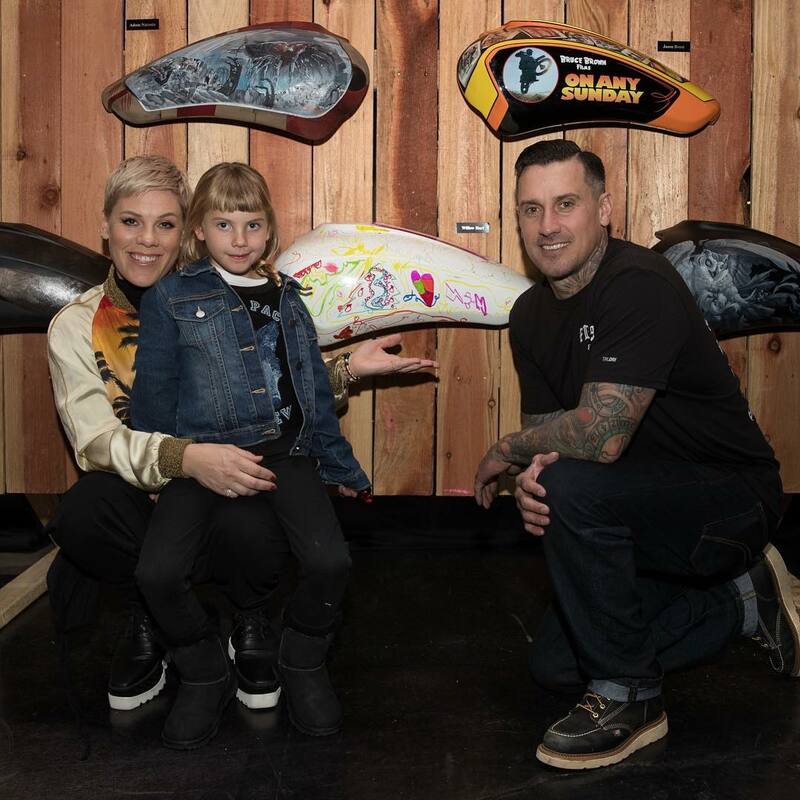 Carey Hart with his wife, Pink and their daughter, Willow, who’s tank has already raised $7,600! It’s great to see the motorcycle industry getting together to raise money for our veterans and their families. Without the sacrifice and bravery of our service men and women, we wouldn’t be able to do many of the things we love and often take for granted. 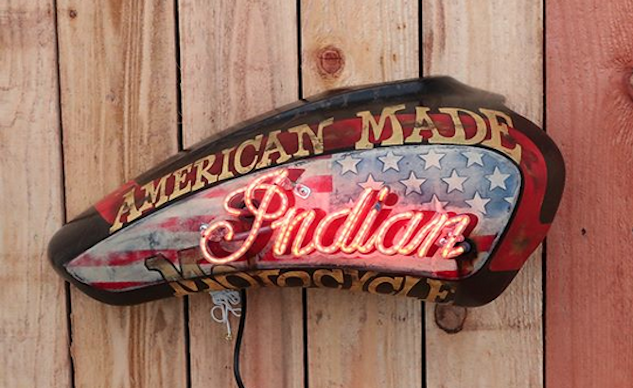 Please take a moment to learn more about The Good Ride, and if you’re interested in making a donation or placing a bid on one of the custom-painted Indian tanks, check them out here. Bidding ends this Wednesday, January 31st.